‘Tis the Season for Marshmallows…and Dragons! 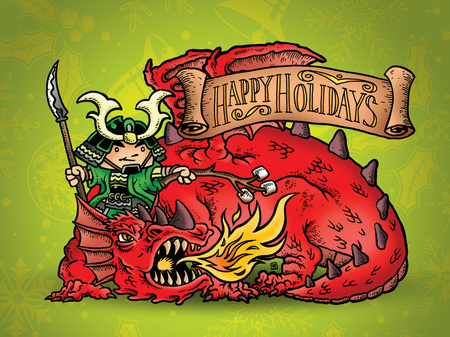 Happy Holidays from everyone at Green Ronin Publishing! We hope you have a great time with family, friends, and of course your favorite games. We are closed until the new year. In January Chris Pramas will give his annual Message from the President, in which many 2012 plans will be revealed. See you then! Thanks once again to the talented Ramsey Hong for the GR holiday card art. It’s a treat every year. //greenronin.com/wp-content/uploads/2017/07/RoninBanner-1.png 0 0 Chris Pramas //greenronin.com/wp-content/uploads/2017/07/RoninBanner-1.png Chris Pramas2011-12-25 11:15:082014-04-03 23:44:31'Tis the Season for Marshmallows...and Dragons!